Among the influential French painters of the early 20th century, Henri Matisse has been a personal favorite as long as I can remember. The Red Room (Harmony In Red) is what hooked me, specifically the use of color and lines to create spatial dimension and movement. Painted in 1908, decorative yet deep is the way I think of this raspberry red oil on canvass. The New York Times called The Red Room the “thunderclap that began Matisse’s great post-Fauvist period.” But that is only the beginning of the story. Matisse’s unique understanding of color certainly dominates The Red Room, though you may abandon his raspberry description in favor of scarlet or cinnabar. Nevertheless, look closely and you can see how the artist used a thin horizontal line to separate color, while implying two distinct planes of a wall and table. The long blue motifs on the far wall eventually disappear behind a chair and the table’s edge. The same repetitive blue patterns, nearest the viewer, cover the top of the table. To the left, a foreshortened chair adds a dimensional perspective. On the right, a woman is actively bent over a stemmed bowl as she rearranges fruit or perhaps cleans the table, a simple vehicle to imply movement by way of an angular pose. Occupying roughly one quarter of the composition is what I consider the best part of the canvas. A large window allows visual access to the backyard, which features stylized white trees, tiny yellow flowers and a small house in the distance. But the images in the window, compared to the rest of the painting, tend to be separate. What’s more, the window is filled with dark greens and a blue horizon to communicate distance, while the raspberry walls seem closer in proximity. 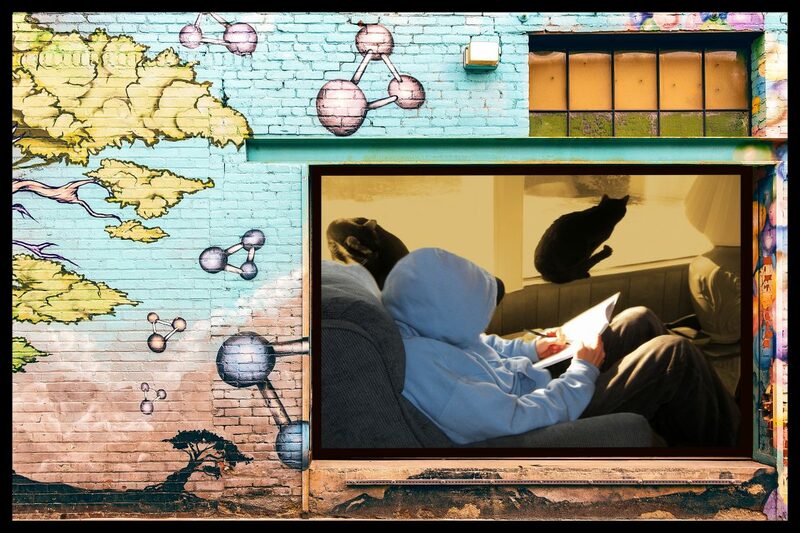 All of this adds up to an outdoor allusion just outside the window, providing depth to the overall narrative. Inside The Red Room, the juxtaposition of the woman at one end, with a chair on the other, creates a balanced awareness of space. Two half-filled decanters, strategically placed, help define the surface of the tabletop which is cropped in front. Matisse knew perhaps better than anyone how perception is everything and any further discussion of The Red Room could go on indefinitely. Better yet, if you have not already done so, take a look at Matisse’s chef-d’oeuvre. Who knows, maybe raspberry will become your new favorite color. 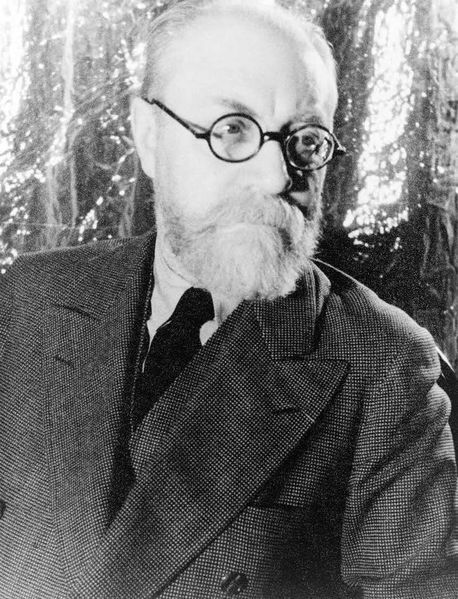 Photo: Henri Matisse – Prints and Photographs Division, Van Vechten Collection, reproduction number LC-USZ62-103699 DLC; Carl Van Vechten photographs; Carl Van Vechten estate; Creative Commons; usage of photo does not constitute endorsement by the source or authors. Paul Wolfle has a B.A. from Hofstra University; and an ARM (Risk Management) certification.